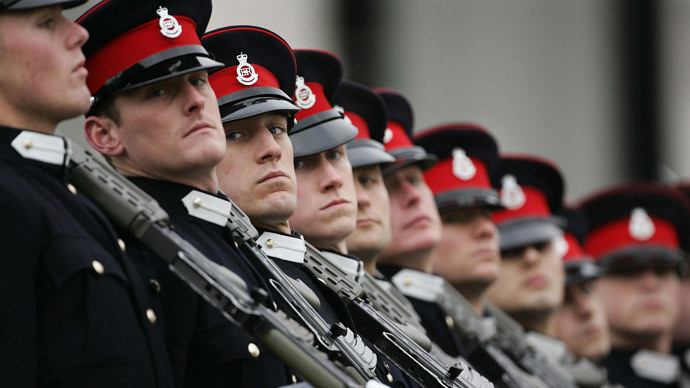 Army cadet units could be used to help tackle social issues affecting teenagers from disadvantaged backgrounds, including teenage pregnancy, an education minister has said. Lord Nash, a 65-year-old banker, private equity manager and venture capitalist, said the rigor of attending regular army-style training and camps could deter girls who might otherwise “form unsuitable relationships”from doing so. Speaking to the House of Lords, the Oxford-educated peer said that while the army cadets could provide benefits to youths from all manner of backgrounds, he stressed that girls from single-mother families in particular suffered from a lack of male role models. The Army Cadet Force (ACF) is undergoing extensive expansion after Prime Minister David Cameron ordered the creation of 100 new units, predominantly in state schools. Some 65 units have been opened in the past four years, with a further 54 set to open within the next year. The units are in part funded by fines from banks involved in the Libor-rate rigging scandal. He further said that young girls who did not have men at home, or were taught exclusively by women, would benefit most from experienced male service personnel. “This means that many children have a total absence of male role models in their lives, which can be just as damaging for girls as for boys,” he said. Lord Nash also said those girls without strong male role models were most likely to become pregnant in their teenage years. Lord Nash’s speech comes less than one month after it was revealed the Ministry of Defense had paid over £2 million in out-of-court settlements following the alleged abuse of cadets. The information, obtained by The Guardian, showed the MoD had settled out-of-court payments for allegations including abuse rituals performed by older boys on younger cadets. Some cases were payouts to adults for historic abuse claims, but others were reportedly much more recent.